In the previous part of this tutorial, we did an overview of DataTables plug-in and its main features. As you have already learned with DataTables, your static table instantly gets pagination, sorting by columns and search. After the table is initialized, all the things including the search work fast and smooth. The original docs are very useful but still, every new thing you learn may include something that will confuse you. Also, the docs don’t tell how to use the library in your Ruby on Rails project. So let’s start today with some examples to see how to use the plug-in in your Rails application. I’ll be using Rails 5.2.1 in this example and the details may vary for other versions. Also, I’ll add Twitter Bootstrap so you may want to add it to your project too. So, create a Rails application via usual flow so that you can see Rails standard homepage or clone the repo mentioned above and continue from this step. It’s time for a little disclaimer. I’m not going to expand this tutorial with the minor things it doesn’t mean to explain, like avoiding //= require_tree . in application.js file etc. 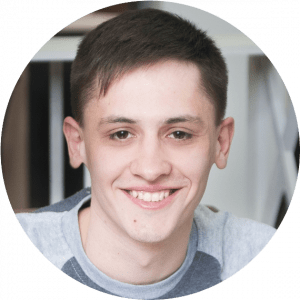 Just wanted to focus on how to use DataTables plug-in without making you distracted by all kinds of best practices that might be used in the Rails application which are not necessary here. That’s all, let’s keep going. At this point, you should have Bootstrap working. Now we’re going to use rails generate command to create PagesController with the empty home action which does nothing except rendering home.html.erb view. Not much, huh? Bet you’d love to make it shine! And that’s actually what this tutorial is about. So finally it’s time to add DataTables plug-in to our application. You might hear that in Rails community there’s always a gem for everything you may need. It’s true and if you’ll be struggling with following this tutorial, try to use jquery-datatables-rails. 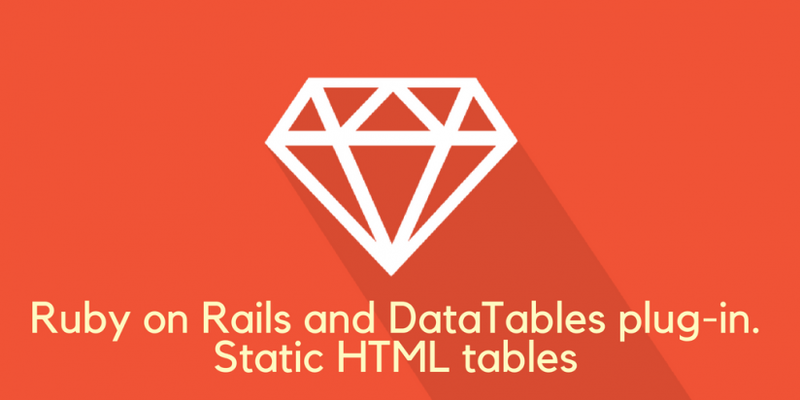 The gem is really great and may be the best choice for your Rails application, but there’s the reason why I wanted to tell you how to add DataTables to your project manually. The thing is, by the time this tutorial was written, jquery-datatables-rails gem didn’t support the cutting-edge 1.10 version of DataTables. It supported version 1.9 but unfortunately, DataTables 1.10 is not backward compatible with DataTables 1.9 out of the box. It means that if we were using version 1.9 in our app and then wanted to move to version 1.10 according to the docs we would need to take some steps to convert the code we have so that it works with the new DataTables version. So I thought if you already have DataTables 1.9 in your project, why would you need this tutorial? And if you’re reading this tutorial and never used DataTables why would you need to use version 1.9 which works great but is a bit outdated already? Let’s go with the last DataTables version instead and learn how to add the plug-in to your Rails project manually! To make it work with Ruby on Rails we’ll need to edit it. So download full (not minified) file and put it in vendor/assets/stylesheets/ directory. We had to do this so the CSS could properly refer to images through Rails Asset Pipeline. We’ve come a long way and everything should be ready by now. Though if you take a look at our table again you’ll see that it’s as dull as it was before. Yes, we added DataTables plug-in to our application but we didn’t do the main thing. We didn’t tie DataTables functionality to our table in app/views/pages/home.html.erb file. Boom! You’re now able to use your advanced HTML tables. Just that simple. Restart Rails server and look at your brand new table with all the fancy features provided by DataTables plug-in! In this part, we have learned how we can instantly make our tables more powerful. As you could see, adding DataTables to your Rails application went mostly easy and smooth though it has not been without problems we needed to deal with. In the next parts we’re going to discover some advanced use cases, so stay tuned!